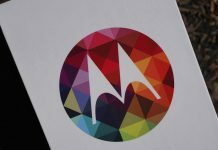 Motorola has introduced the third generation Moto E back in July and is now all set to launch the same in India on September 19th, Lenovo’s president Ken Wong has announced it officially. Though the Indian launch is delayed, it might still stand tough in the budget segment if priced accordingly. To remind you, the Motorola Moto E3 sports a 5-inch HD (1280 X 720) IPS display with Corning Gorilla Glass 3 protection and is powered by the MediaTek chipset with 1GHz Quad-Core processor coupled with 1GB RAM and 8GB native internal storage. It runs on Android 6.0.1 Marshmallow right out of the box. 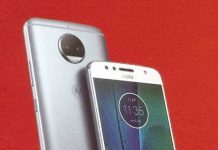 Talking about the camera, the Moto E3 packs an 8-megapixel rear camera with LED flash and a 5-megapixel front camera for selfies and video calls. Connectivity features include 4G LTE, WiFi 802.11 b/g/n, Bluetooth 4.0 LE, and GPS. A 2800mAh battery is on board for all the battery requirements. We should know the pricing and availability of the device when it officially launches in India on September 19th. If we are to guess, the device might be priced somewhere between Rs. 8,500 to Rs.9,000. Stay tuned to MobiPicker for more details on the same.